Google Panorama Photography builds the future. 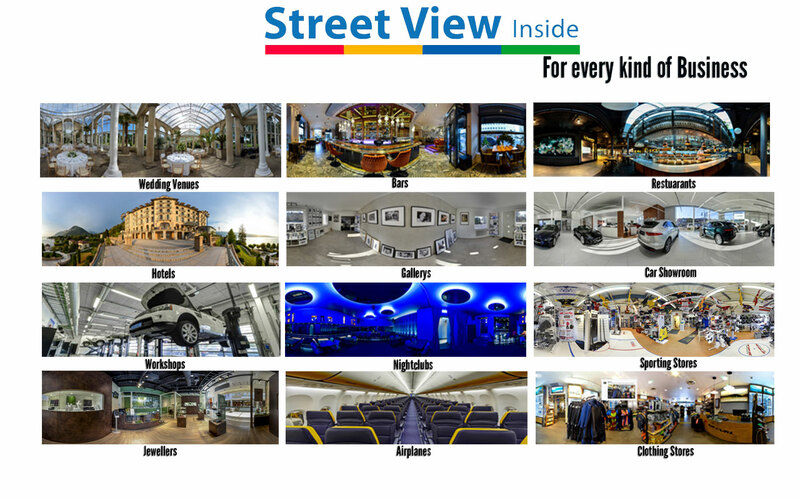 Revolutionary for business See-Inside panoramic photography. Where you can go inside and see your business in 360, VR virtual reality and AR augmented reality technology. Today 4 out of 5 shoppers search online for local goods and services and half of those consumers shop locally the same day. Make sure you are visible and relevant for those “near me” searches and grow your business with more sales coming in. There is NO monthly cost at all to have your tour hosted on Google, it will appear in Google Search results, your business will appear on Google Map listings and on your Google My Business Page. It will stay online on Google for the public. The tours can be used on your website and Facebook. Let customers experience your business even before a visit. 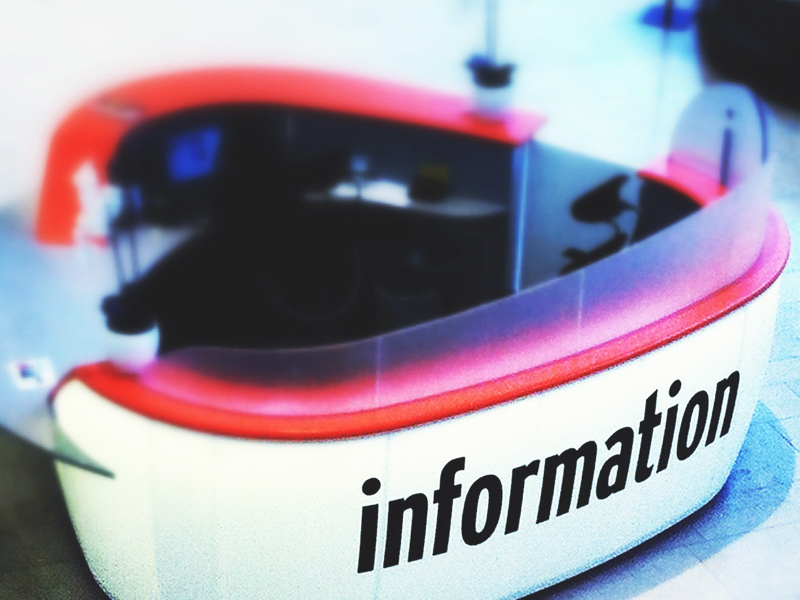 95% of smartphone users who Googled local information, 61% called and 59% visited the business ! Listings with photos and a virtual tour are twice as likely to generate interest. This is a tool for your old customers and the easiest way to attract new customers. Quantitative market research was conducted in July 2015 by an independent market research firm to understand the impact of virtual tours on increasing consumers’ interest in local businesses, the results are stunning. Share what’s best about your business. Open your doors to customers before they arrive, take people on a virtual tour. Still photos are free to use for all your business marketing. Photos show what’s unique. Your small start fee will get you started with 4 360Panorama’s and get your business on Google. Control how you appear on Google Search and Google Maps. Get your business hours, phone number, and directions on Google Search and Maps with Google My Business. When people search for you, does your phone number show up? Is the right address and website listed? Take a look how your business will look. Google Panorama Photography Google Panorama 360 VR Photography thousands of customers across numerous industries, including restaurants, retail, travel and hospitality, real estate, and architecture, construction and engineering.your business will show up on Google Maps, Google Earth, and the mobile Street View application as fully linked panoramic photo tours, driving additional traffic to businesses’ websites so clients get the best of both worlds. 360 Panorama Camera The Insta360 ONE uses new technology they are calling FreeCapture. FreeCapture lets your professional photographer hone in on the key moments of a spherical tour, and then translate the original 360 footage into a standard 1080p fixed-frame image that you can share on social media sites. The process to create a FreeCapture video on the ONE is pretty simple. First, you hit record to capture in 360°. Even if you’re not delivering to VR or a 360 player, the idea is to mimic a multi-cam setup that covers every angle of the scene. Ask us about professional photographers photographing in 360. Introduction – What is AR? How is it used? Reinforced reality (Augmented Reality) or AR for small business is growing and is growing fast. Recent discussions in technology and innovation have highlighted the great impact that AR has had only in the last few years and how huge it will have in the future. Major companies like Google and Apple are already in the game about development for the most innovative AR. With the help of AR, small businesses can now also take advantage of the technology in a completely new way to compete with larger and more well-established companies. AR is a technology that combines the digital with reality. The technology has been trying to reach the market for many years, but due to high demands on mobile performance, it has not been possible to reach the fullest. It was only when the game Pokémon GO broke through as the people became interested in AR and started investing more time and money to develop it. AR is usually used in the form of a mobile application, where you can create a world, combined with the camera in the mobile phone, combined with the digital and reality. By starting the mobile application that also opens the camera, you can start pointing the camera to different objects or surfaces. On the mobile screen, you see reality as it is, such as a regular room with furniture, while the mobile application places a digital layer over the room. The layer can display anything and also adjusts using light, shape, and size to make it look proportional. IKEA Place is an example of a mobile application built using Apple’s ARKit, a toolbox provided by Apple, allowing developers to create their own applications using AR. The IKEA Place application is used by holding up the cellphone in a room and then selecting furniture from their product catalog to see if they fit into the room. The camera captures the reality, that is, the space, and applies the digital layer of a piece of furniture to the top of the room, and can use the sophisticated technology to calculate whether it will resize, brightness, or position. In the best and most realistic way, the furniture must be seen in the mobile application and also in reality in order to determine if the furniture fits into the home or not. How can Small Businesses use AR, VR, and MR? Not only are big companies able to take advantage of the new technology, but many are now discussing how small companies can also utilize AR to reach new segments and markets and hence increase their revenues. Smaller companies are often limited to what markets they can reach, just because of their size and capacity, and they have no choice but to focus on the market in which they are located, which in many cases is small. Investing in AR is a small investment in terms of how much one can reach and, as with traditional marketing, had been much more difficult and more expensive to achieve. With AR, you also show that you are innovative and future thinking, and it is the experience with AR that gives the potential customer a good impression and the chance to get to know the company and its products. Small companies can, with AR, give their customers an experience of how their products or services look, are used, and work, in a way that is not possible with a traditional website. Potential customers no longer need to search the Internet about the product or guess how it would look or work, but with AR, they get the experience and feelings through their phone wherever they are. AR is the magic that can make people learn, laugh and enjoy. It gives them the opportunity to try out, experience, and create feelings. Using AR, you can create an impression of every person, young or old, thus creating a brand for themselves and standing out which is something that small businesses can have trouble when competing with industry giants. Our reality is no longer limited to what we see in front of us, but we can combine the realities of others with ours and create dreams for small businesses and its customers is extremely valuable. As a business owner in the modern age, you must have more than a website presence on the internet. You need to give your customers a visual representation of your business from the inside out. This means providing them with a full 360° panoramic view of your business establishment which they can access anytime on their laptop, tablet, or smartphone. That way, instead of having to travel to your location for their initial impression, customers can get a sense of your business just by virtually being there online. Studies have shown that businesses which offer panoramic images or virtual tours of their physical establishment will receive more customers than those which do not. It keeps the businesses at a competitive advantage against other businesses in their industry which are not using this technology. The most common organizations which do use this technology include offices, schools, restaurants, daycare centers, gymnasiums, preschools, and hotels. If you’ve got something spectacular to show off inside your business, then photography like this could double the number of customers who walk through your door. If you’ve never heard of 360° panoramic images and virtual tours before, the concept is very interesting. Rather than a traditional still image which shows you one particular camera shot, a 360° image lets you view the entire circumference of the area where the picture was taken. A spherical camera is used to make this magic happen. Once the 360° image is set up on the internet, viewers will be able to virtually scroll around the circumference of the room as if they were really standing there looking around. This is the same kind of technology which Google uses to create their 360° Street View images. The only difference is they drive around with the spherical camera attached to the top of their van. At 360i.se, they offer a unique 360° photography service to businesses which utilize the very best in panoramic and virtual reality photo technology. Not only will you get to put your 360° photos on your website, but they will be hosted for free on Google Maps. This will advertise your business throughout the Google search engine but more importantly, people who search your business address on Google Maps will get immediate access to the 360° Google Business View of it. Since more consumers these days are visual learners, they are more likely to visit your business if they can see it first from a reputable source like Google. To be well advertised on the internet, you need a good reputation. The way to get a good reputation is to have high-quality backlinks to your website. This is a strategy which all high-ranking websites implement into their search engine optimization practices. With a 360° virtual tour on Google, you are getting both free advertising and one of the best backlink sources in the world. When you hire 360i.se to provide you with their 360° photography service, you will be getting all these advertising and SEO benefits right along with it. How cool is that? If this isn’t good enough, there is more. If you have a Facebook profile page for your business, you can embed the panoramic images onto there as well. Then, all your Facebook page’s followers can view these images and share them with their own friends and family members too. If they like what they see, the word-of-mouth from your virtual tours will drive more people to your website and business location. No matter how big or small your business is, a one-time investment into getting 360° photos taken of your business’s interior will be one that will pay off quickly. Visit www.360i.se to learn more about their revolutionary service that they offer to businesses and entrepreneurs. Lately, virtual reality became one of the essential technology trends being used in all existent fields of work. There is a use for a virtual reality device in any sector you may think of, so its influence is greater than people think. In business, virtual reality started to thrive since businessmen were given the opportunity to combine it with other components of their companies. Virtual reality started to be the number one tool in training employees or in showing customers products in an interactive manner. Operating rooms, armed forces, constructions, education – any field you may think of can make good use of virtual reality and everything it implies. The first effect of introducing virtual reality in a business would be a visible increase in the engagement of both employees and clients, a productivity increase and a customer interest increase. Virtual reality can be described easily using the word “immersive”, introducing a customer/employee in the environment required for reaching their purpose: either to sell, to train or to educate. 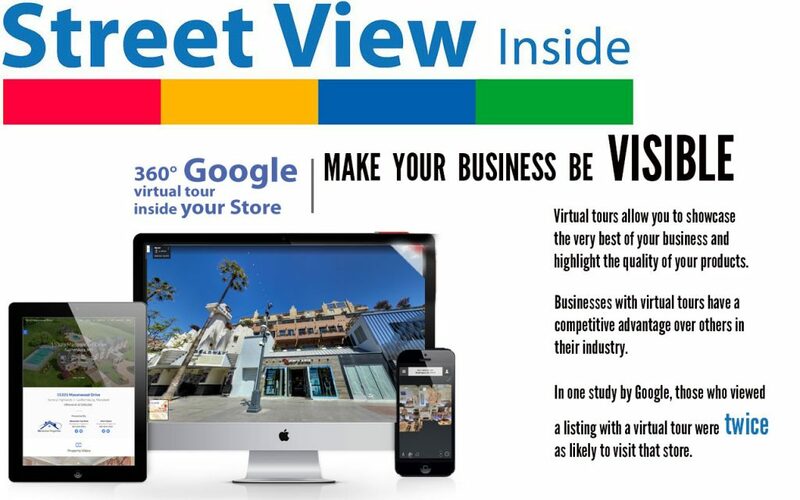 A great example for this kind of enveloping would be Google Business View – The See Inside Tour. Implementing a 360° panoramic image to your business, big or small, will help customers have a look at what you are offering from the inside. Since not everyone can afford full virtual reality sets, a virtual tour is the very first step towards making the current and potential clients engage themselves into the world of technology. Expanding and attracting new customers today can feel much harder than it was a few decades ago. With so many new players on the market, competition has become tougher and companies are constantly looking for new ways to reach their market. Much within our culture has also changed and today we use new ways to attract their customers. Both large and small companies can feel that it is hard to reach out to potential customers and newly established businesses may make it even more difficult. Together with a Google Trusted professional photographer who has expertise in 360 degree photography, you can give your customers an experience via the computer or mobile phone. By using Google My Business, a platform for listing your business and all information about it, you can use the Google Business Photos service so get in touch with an experienced professional 360 VR business photographer who can help your business to become more successful. Here we list 3 good reasons why just your business should be photographed with virtual reality for Google My Business. Many companies begin to discover the benefits of shooting and shooting at 360 degrees, and virtual reality allows you to showcase the creative and innovative side of your business like thousands of other companies do. Using Google’s search engine and “Google My Business”, you can increase visitor numbers and improve the performance of your website, which in turn gives you a better chance of converting customers. With virtual reality as an additional enticing factor, visitors to your website can increase significantly. Providing an optimal viewing experience easy reading and navigation with a minimum of resizing, panning, and scrolling, across a wide range of devices desktop computer monitors to mobile phones. Techniques and tactics used to increase the amount of visitors to a website by obtaining a high-ranking placement in the search results page of a search engine including Google and other search engines. Clean and simple beautiful design It is amazing sometimes how execution of such simple graphic branding design change over a period of time but the beauty, originally here stays.